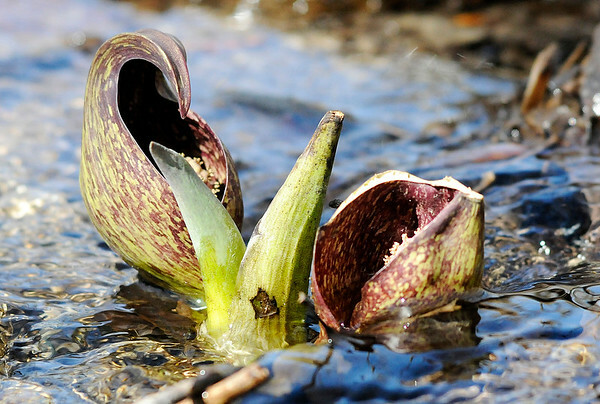 Skunk cabbage blooms at Mounds State Park on Wednesday. The park is holding a "Signs of Spring Scavenger Hunt" on Saturday. Stop at the nature center to pick up a scavenger hunt list before taking a hike and photographing three signs of spring. Bring your photos back to the nature center and show the naturalist for a prize.